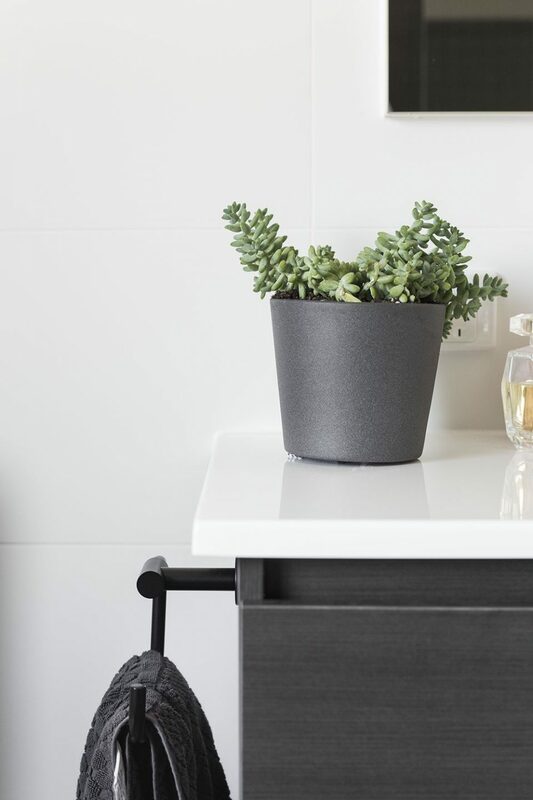 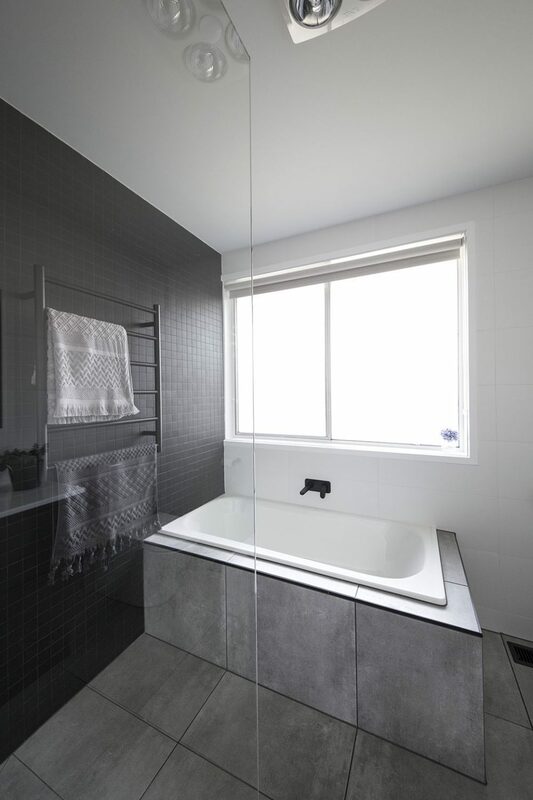 This Bathroom Renovation and Laundry Renovation was completed by our team at MJ Harris Group to update an outdated space with a modern monochrome finish. 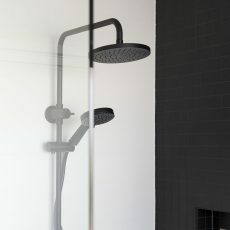 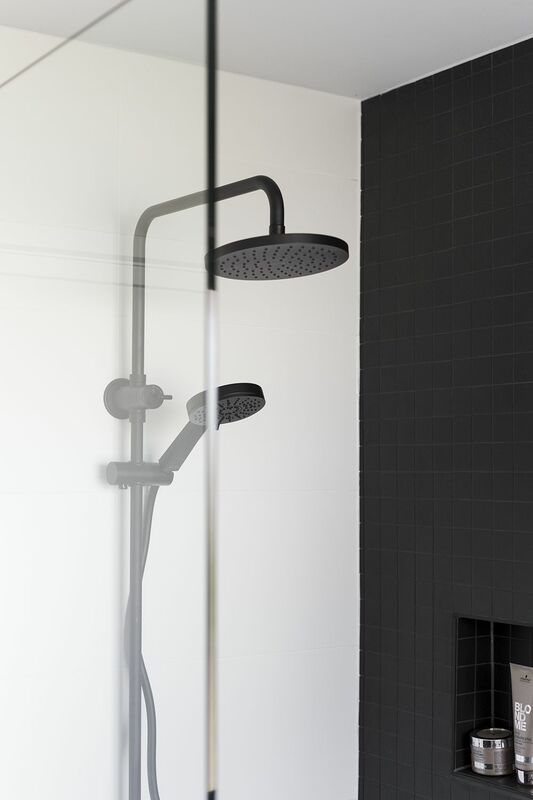 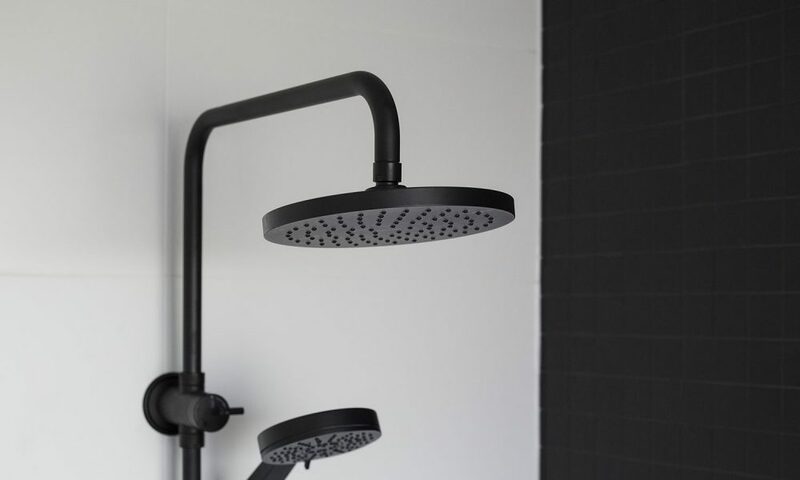 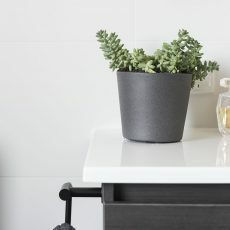 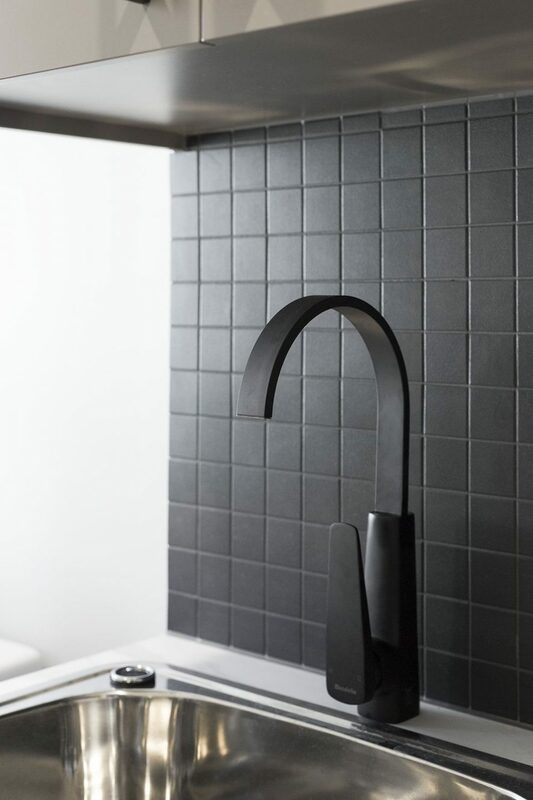 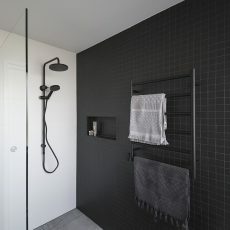 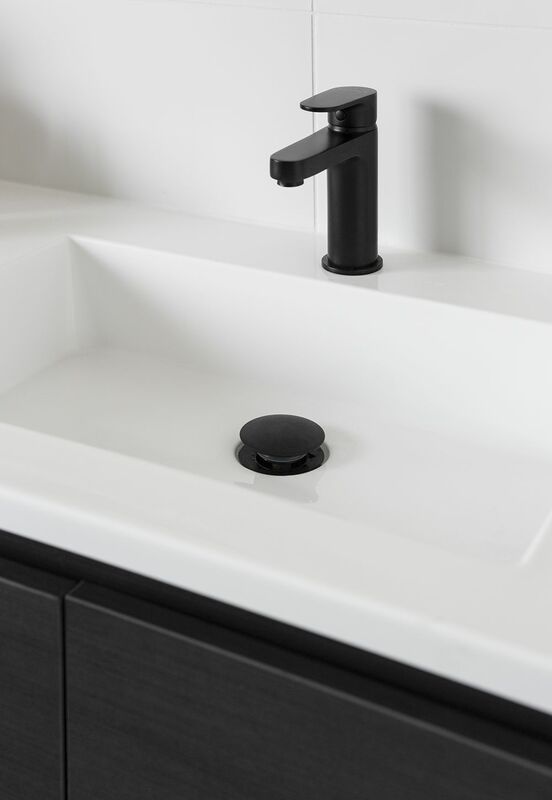 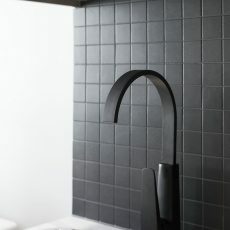 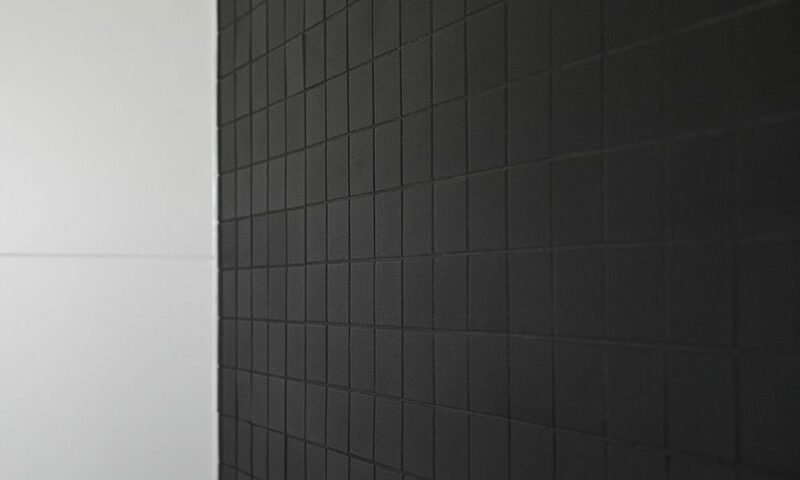 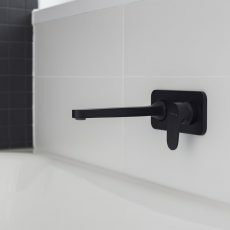 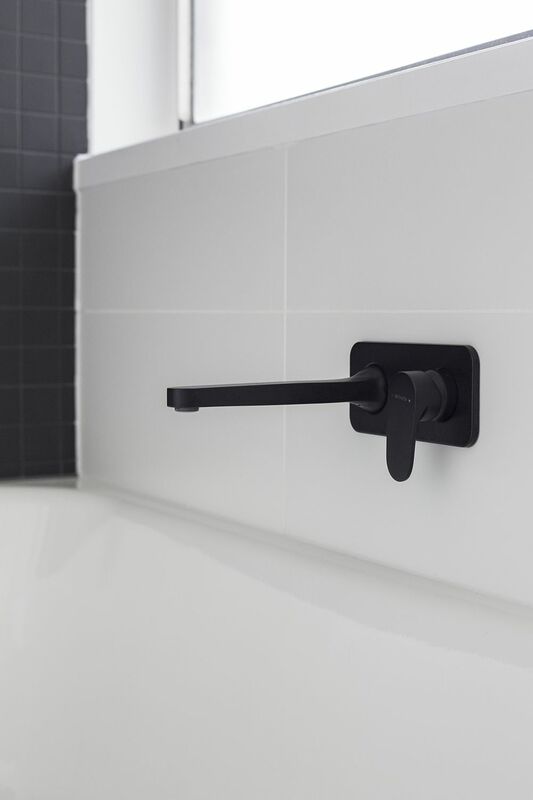 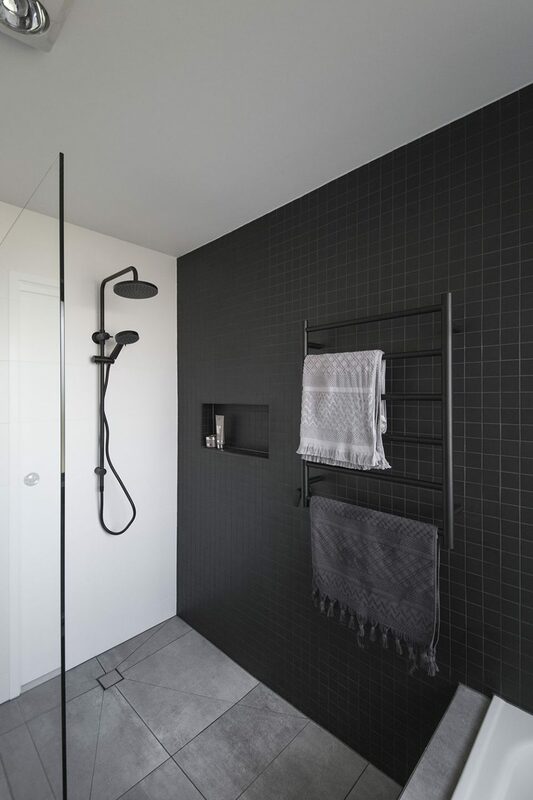 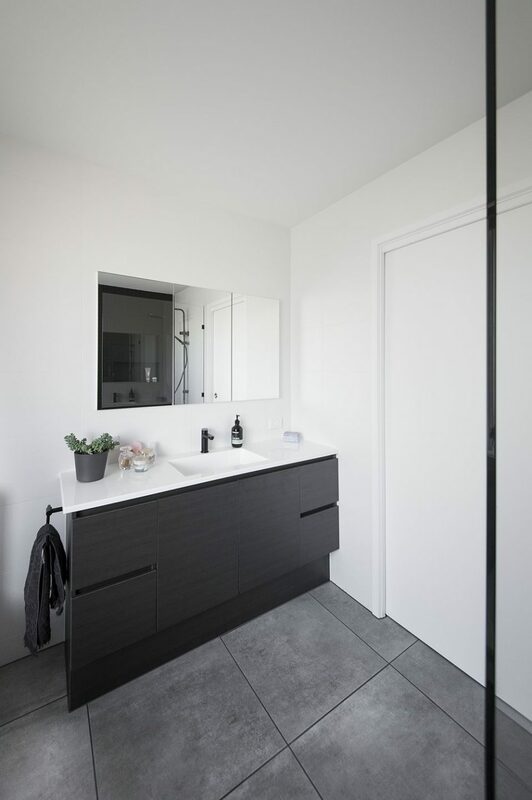 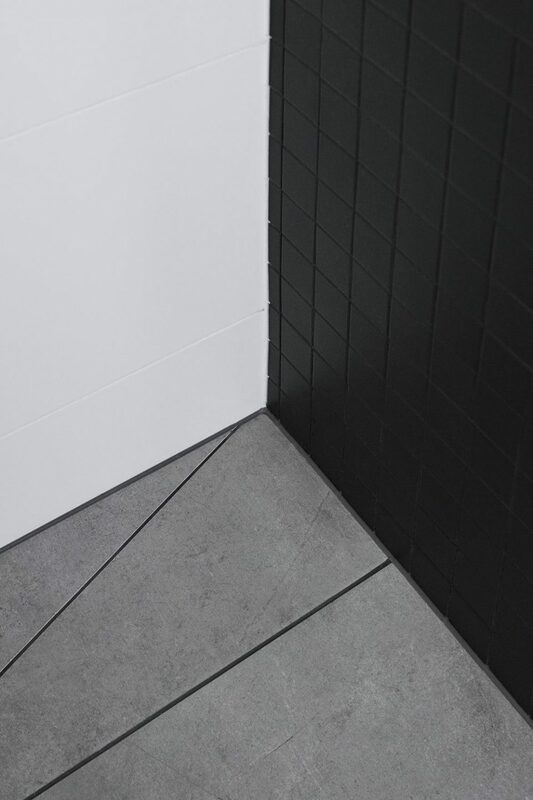 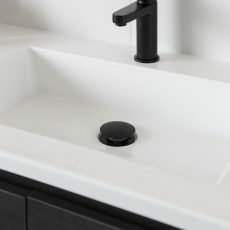 Our clients fabulous choice of matte black tiles, fittings and fixtures creates a sleek and contemporary look. 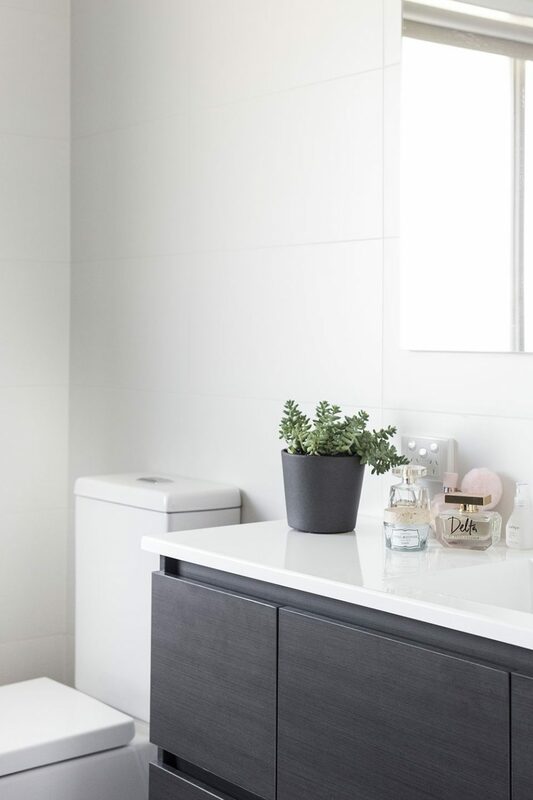 A simple vanity semi-custom built by Reece fits into the bathroom space nicely to allow plenty of room for movement. 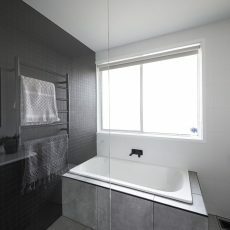 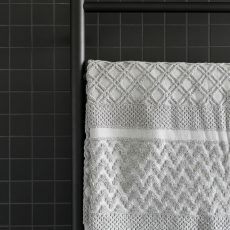 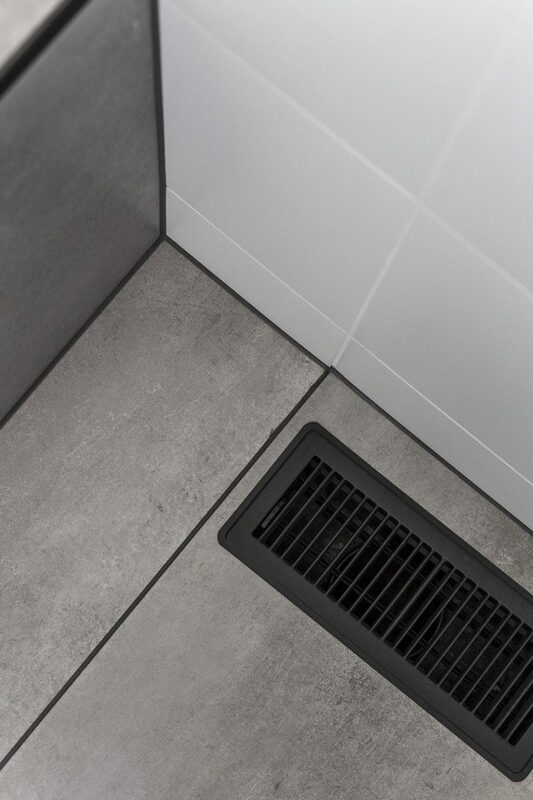 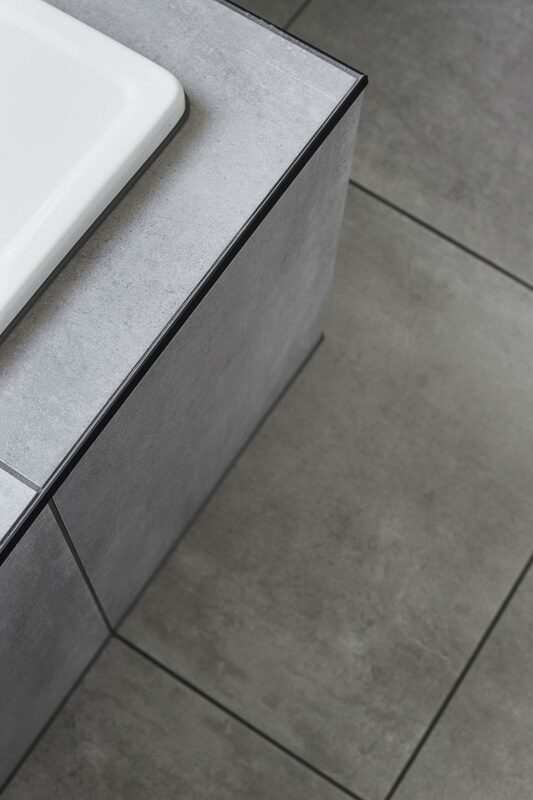 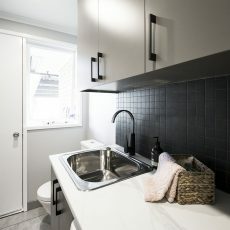 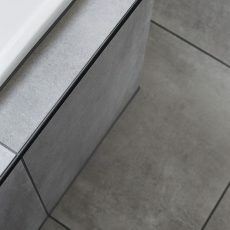 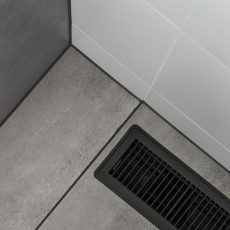 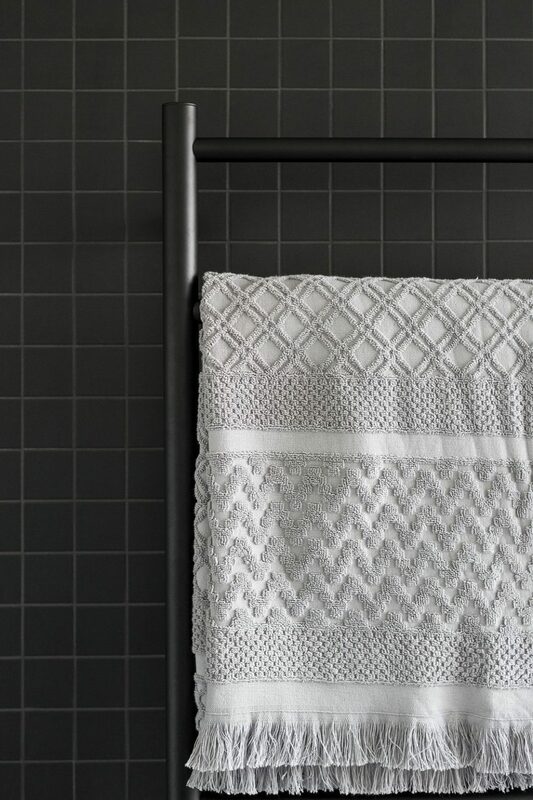 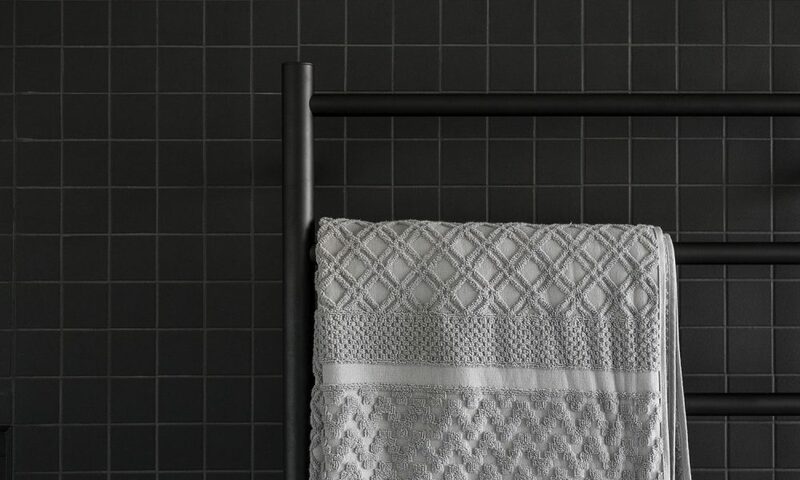 The choice of charred ash grouting complements the grey floor tiles in both the Bathroom and Laundry. 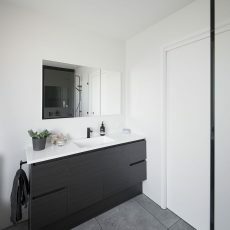 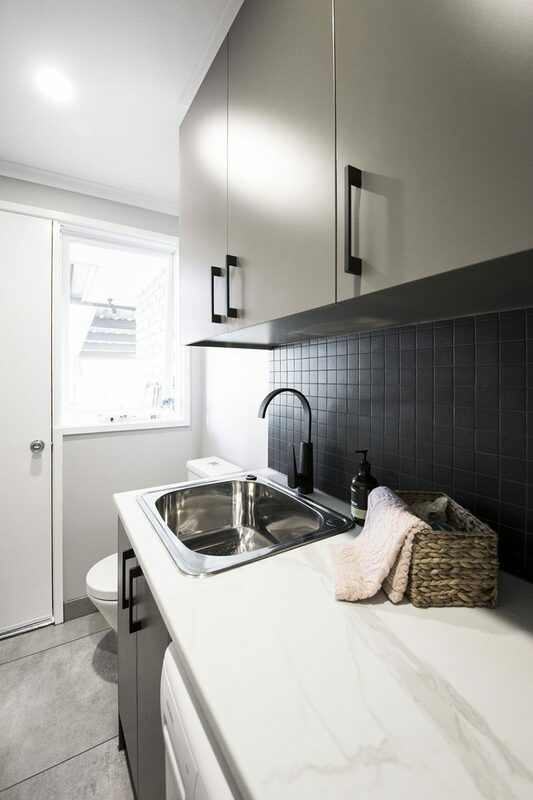 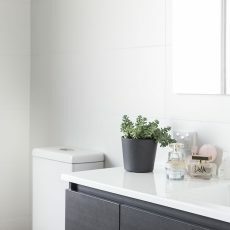 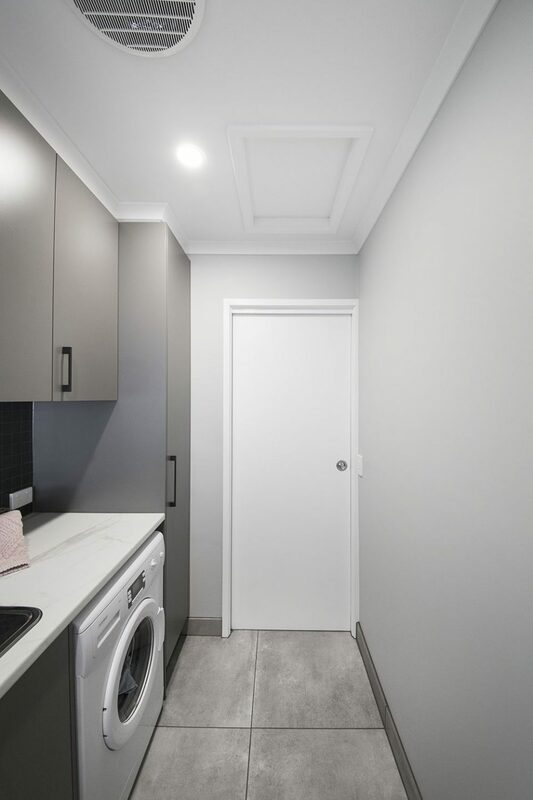 With only a small budget this bathroom and laundry renovation manages to combine its features to create a modern and stylish space. 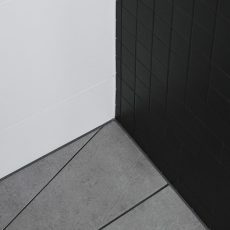 Wall and floor tiles are from Beaumont Tiles and the black mosaic tiles are by National Tiles. 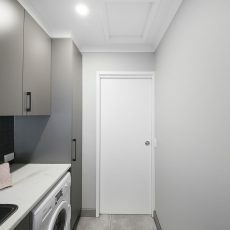 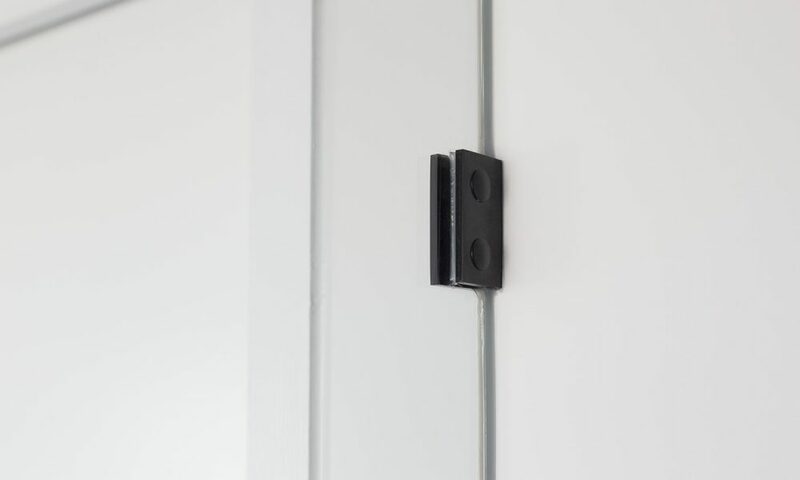 Custom Polytec joinery in the Laundry is by Goulburn Valley Construction with all tapware by Methven and matte black vent covers from Bunnings.